This seasonal classic, a combination of fresh fruit is always a very welcome gift. 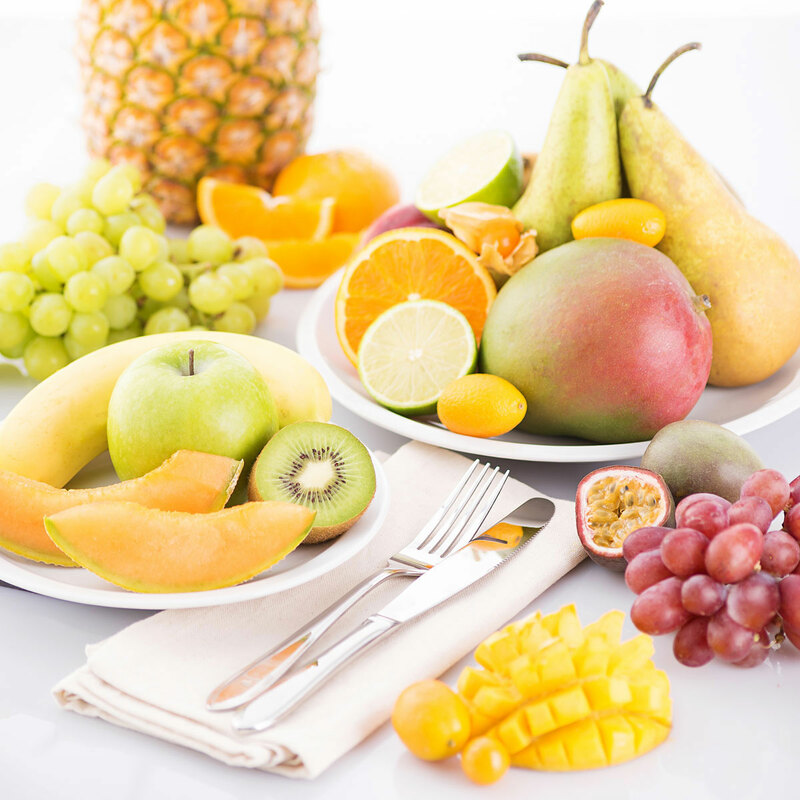 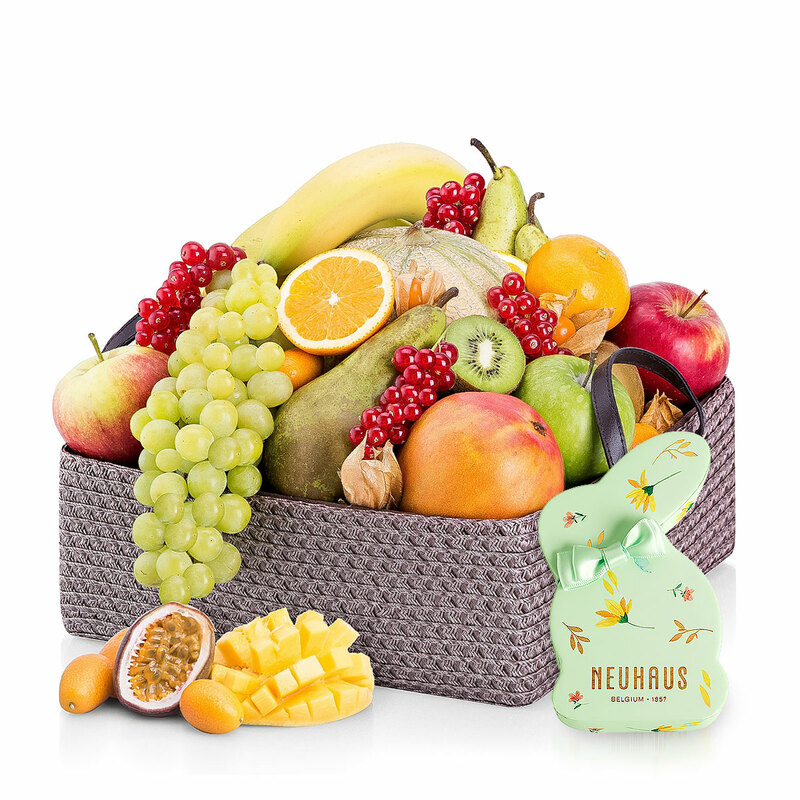 The fruit baskets are hand made in our own warehouse with only prime quality fruit. 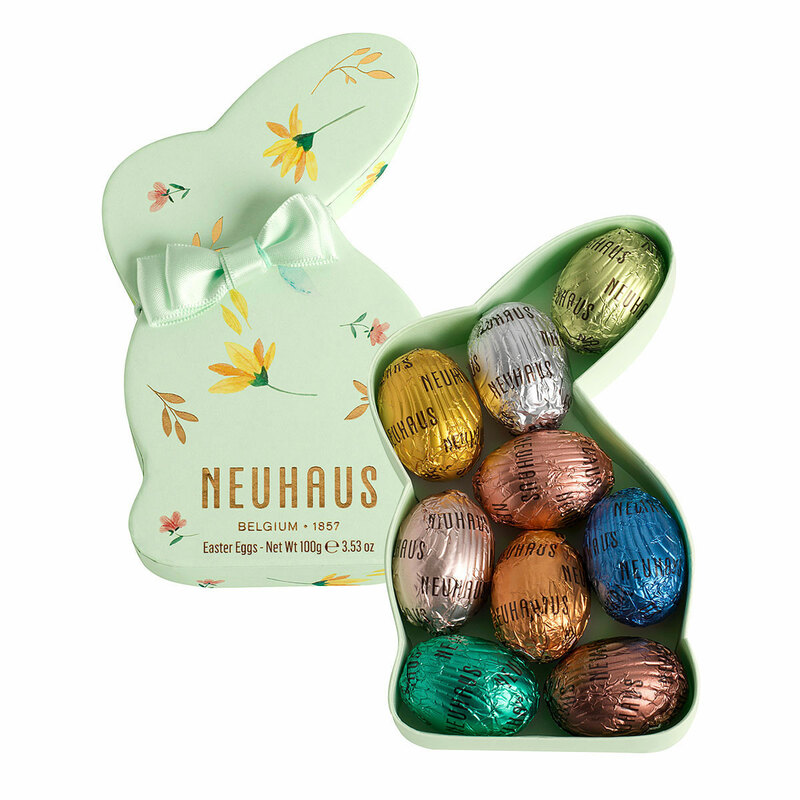 The delicious fruit basket is accompanied by a cute Easter bunny filled with scrumptious Neuhaus chocolate Easter Eggs.